I've always been fond of hot dogs, sausages, wursts, etc. One of the unforeseen results of my culinary curiosity was that I was "volunteered" by a motorcycle friend of mine to plan the first annual (last probably ever!) "Bawlmer Wienie Run" for members of an Internet forum: GL1800Riders.com. Since "The Run" I've spent more than a little time devoted to becoming one of the Wienie Cognoscente. One of my favorite "sausages" was Best's Kosher Beef Polish Dogs. I found out recently that Best's Kosher (owned by conglomerate Sara Lee) was "put to death" at the end of January 2009. As soon as I heard that I ran to Sam's Club and bought eight packages of their Beef Polish Sausage & eight packages of their Dinner Beef Franks. I've got mine. You'd better go get yours! Hot Dogs, Sausages & Bratwursts - Roadfood.com actually has a forum dedicated to hot dogs, sausages & bratwursts. I am an American and I Eat Hot Dogs ~ Paul DeGeorge's blog where he "chronicles the inseparable adventures of everyday life and hot dogs"
National Hot Dog & Sausage Council - Believe it or not, there really is a National Hot Dog & Sausage Council. The National Hot Dog and Sausage Council is a project of the American Meat Institute and is funded by contributions from hot dog and sausage manufacturers and those who supply them with equipment, ingredients and services. 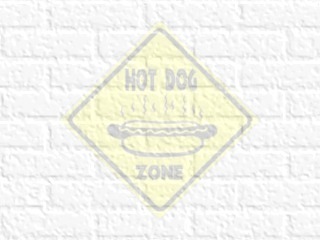 Established in 1994, the Council conducts scientific research to benefit hot dog and sausage manufacturers. The Council also serves as an information resource to consumers and media on questions related to quality, safety, nutrition and preparation of hot dogs and sausages. National Hot Dog Month - Apparently, July is "National Hotdog Month", and July 19th is "National Hotdog Day". The Holiday Spot has a page with links to help you celebrate the event, and wikiHow web site has a page that tells you "How to Celebrate National Hot Dog Month". HollyEats.com - Hollister "Holly" Moore is a man who likes to eat... apparently... I've never approached the man (or e-mailed him! ), but judging by his web site - he likes to eat. He doesn't seem particularly drawn to haute cuisine, but (he admits) he isn't philosophically opposed to it, either. His web page - dedicated to hot dogs around the country - is an inspiration to me. The Gourmet Chili Dog - John Sagi's web site with a ton of information and links. Hot Dog University - "The Harvard of Encased Meats"
Mark Reitman is the founder of the Hot Dog University in Milwaukee, WI. [BusinessWeek] even wrote an article about him. The Straight Dope - Cecil Adams explains "Why is there no ketchup on a properly made hot dog?" America's Best & Top Ten - lists what they feel are the "Top 10 Places to Eat A Hot Dog"
Florence Stacy bought the business in 1959, ran it for 14 years then sold it to her son & daughter-in-law (John & Gail Stacy) who run it today. They have their own "secret recipe" relish that they're hoping to market. West Virginia Hot Dogs - Another regional hot dog site - includes links to a ton of HDJs (Hot Dog Joints) in West Virginia as well as reviews of their offerings. Red or White ~ Upstate New Yorkers Tend to Relish Their Hometown Favorites - Evelyn Bence wrote this article for the Washington Post (May 24, 2006) reminiscing about the decisions she faced at her father's summer barbecues at the church in western New York where he was the pastor. The Missing Link - Dave Jamieson wrote this article for the Washington City Paper (February 6, 2007) about the elusive Washington, D.C. "half-smoke"
Wikipedia - Entitled simply... "Hot dog" - and another one called "Hot dog variations"
HotDogBiz101.com - Steve Schaible (founder of King Weenie Chicago Style Hot Dogs - St. Louis, MO) wants to sell you a course to help you became the next Hot Dog Maven! Hot Dog Hunt Apparently, they're a "family from northern New Jersey who have traveled from three minutes to three hours in search of quality hot dogs!" Detroit, Michigan - with its "Coney Island" hot dogs (bearing little in common with hot dogs actually served at Coney Island in New York). Chicago, Illinois - and the well-known, and loved "Chicago Style "hot dog. G&A is literally the reason I started this web page... A Goldwing ridin' buddy of mine saw G&A featured on Guy Fieri's Diners, Drive-ins & Dives and decided to volunteer me to put together a hot dog tour of Baltimore. Because of the logistics of gettin' a bunch of motorcycles into and out of Baltimore's Highlandtown neighborhood, G&A wasn't included on the first wienie run. G&A was started in 1927 by Gregory Diacumakos (the "G" in G&A) & his cousin Alex (you got it... the "A" in G&A). The torch was passed to "Big Jimmy" & "Little Jimmy" Farantos in 1968. They ran G&A until 1988 when "Little Jimmy"'s son Andy Farantos bought the historic G&A. The City Paper doesn't include the Baltimore's Best Hot Dog category every year - you'll notice 2010 is absent. Attman's is one of the last reminders of Baltimore's once bustling "Corned Beef Row"
Zack's - Hotdogs with an Attitude!!! I have yet to visit this establishment, but word through the grapevine is that "it ain't all that" - but... I'll make up my own mind, thank you! Stuggy's - Old fashioned hot dogs & sausages with a modern twist! MusicCutie008 captured a short YouTube interview with Sue Thompson, one of Chili Man Wiener's partners. 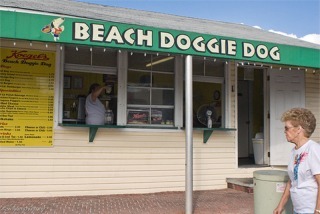 According to Sue, they served a natural casing hot dog with homemade chili sauce. Sue was no more forthcoming with information about the hot dog they served. Judging by information in an article in "The Towerlight" (Towson's campus and community news source), Chili Man Wieners must have closed by, or before, July 2010 "due to economic difficulty". That was an awfully short run for a hot dog joint that opened around October 2009. The September 5, 2011 edition of People Magazine (page 124) mentioned that "Pink's Hot Dogs in L.A. named its Today Show Dog - two franks, mustard, onions, chili, cheese and guacamole - in honor of the show's ex-anchor (Katie Couric), who once posed for a photo with owner Gloria Pink." They offer ketchup as a condiment for their hot dogs! You can buy 15 ounce cans of the Varsity's World Famous Chili from their "gift shop"
Portillo's is a chain that opened in 1963 as "The Dog House" but renamed to "Portillo's" in 1967. Their website has a history of the business. You'll hear the town of Flint, Michigan closely associated with the "Coney Island". A "Coney Island" hot dog is one served with "Coney Island" sauce, mustard & onions. Doesn't sound too impressive, does it? Well... It's all in the sauce. At the bottom on this page I've plagiarized several recipes for Coney Island sauce, but in a nutshell, (or perhaps a hot dog bun? ), Coney Island sauce is a dry (not soupy) bean-less chili. I've also heard it referred to as "Greek Spaghetti Sauce". But... Wait a second... 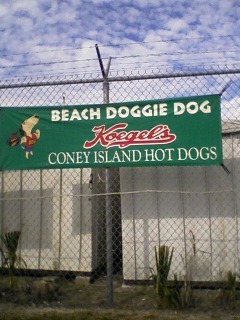 If that is a "Coney Island" dog, what is a "Texas Hot Weiner"? But I plan to find out, so stay tuned...! I just received a "Coney Kit" from American Coney Island - with a personally signed letter from Grace Keros, the 3rd generation Keros to own this HDJ. The Stassinopoulos brothers, Leo & Peter opened their first diner - the Southfield Souvlaki Coney Island - in 1972. In 1982 they opened their second restaurant in Farmington. Soon after that, they changed the name to Leo's Coney Island. Last time I checked they had over 40 restaurants. National Coney Island sells a "Coney Island Kit"
Opened in 1928, Rutt's Hut is a New Jersey institution. Their dogs are deep fried to four degrees of doneness: "In and Outer" (just warmed up - for the tourists), "Ripper" (fried until the skin rips), "Weller" (well done) & "Cremator" (extremely well done - as in cracked, blistered, hard and shriveled). They're famous for their homemade "relish". Rumor has it that the "secret" ingredients are cabbage and carrots. Apparently, it's a lot better than it sounds! Their "signature" hot dog is the "Texas Weiner"
John Sagi (The Gourmet Chili Dog) documented his visit there on April 4, 2009 on Roadfood.com. Goffle Grill - specializing in the "Texas Weiner"
Johnny and Hanges - specializing in the "Texas Weiner"
According to Hot Dog Hunt, Duffy's offers customers a choice of a Sabrett's or a Thumann's hot dog. Founded by John Kovalsky in 1944, Hot Dog Johnny's is currently operated by his daughter Patricia Fotopoulos who's been working there since it opened. Nathan's may well be the most famous hot dog joint in the whole USA. Nathan's Famous was founded in 1916 by Polish immigrant Nathan Handwerker using a hot dog recipe developed by his wife Ida. Before going into business for himself, Nathan Handwerker werked... er... worked for Charles Feltman (1841-1910), a German butcher who's credited with being the first in New York to sell pork sausages on a warm bun, sometime around 1867. Nathan sliced Charles' buns & couriered franks to Feltman's grill men. Feltman's went out of business in 1952. This chain has three locations in New York City and one in Clifton, NJ. Check out the history page on their web site. Opened in 1931 by Gus Poulos (a Greek immigrant) "Hawaiian Tropical Drinks, Inc.". New Yorkers began to refer to him as "The Papaya King" so in the 1960's he changed the name permanently. Opened in 1972, Nicholas A. B. Gray copied his store's "concept" from Papaya King. I'm trying to find out what the "story behind the story" is. Stay tuned! Ted's was started by Greek immigrant Theodore Spiro "Ted" Liaros in 1927 in a tool shed - having upgraded from a horse-drawn hot dog cart - near Buffalo's newly finished "Peace Bridge". Ted's web site has an interesting historic timeline - go check it out! They serve a "bright red" grilled pork & beef hot dog. I need to find out who makes them...! They're served on a buttered, toasted hot dog bun. Known for their one-of-a-kind Hungarian Hot Dogs, Tony Packo’s has been serving authentic “Old Country” food since 1932. The family owned and operated restaurant - which serves everything from chili cheese fries to chicken paprikas - is a Toledo tradition that has become recognized and loved across the U.S. Whether or not you come to taste the renowned Hungarian Hot Dog, or just to witness the celebrity autographed hot dog buns that adorn the walls, Tony Packo’s has something for everyone. Yocco's gets its name from the "local" (Pennsylvania Dutch) pronunciation of the owner's last name - "Iacocca"
Their web site has a good history page. On a recent motorcycle trip to Renovo, Pennsylvania with a group from GL1800Riders.com, we stopped at Laskaris when passing through Lewistown. It's an "old school" HDJ - old Vulcan grill right in the window. They've been around since 1921. Sam has owned the place for the last 16 years. They serve the traditional "Texas hot weiner" - Berks hot dog, mustard, mild meat chile & lots of fresh nicely chopped onions. Johnnie's Dog House is a chain - I plan on calling them to try to get some more history and find out where their original location was... The address I included is their corporate headquarters. They remind me a bit of Zack's - a Maryland chain. They offer a dog called "Baltimore's Best", but it includes coleslaw & bacon. 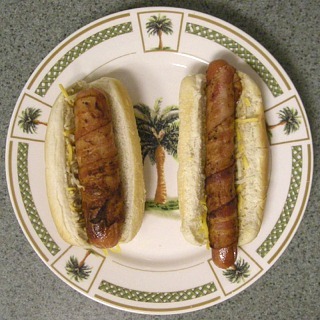 The most common interpretation of a "Baltimore-style" hot dog is one wrapped in bologna and griddle fried. And their "Jersey Style" dog (grilled potatoes, peppers & onions) is frequently referred to as an "Italian-style" dog (when served on "pizza bread"). Run by owner Ernie Kranias - this HDJ's been around since 1921! a/k/a "The O", or "The Dirty O"
The Stevens family has been serving Rhode Island's own culinary favorite, hot wieners since 1946. Our famous delicacy starts with a natural-casing wiener and is topped with mustard, our special meat sauce, onion, celery salt and all served on a steamed bun. We also feature other Rhode Island favorites such as coffee milk and our own french fries "beef stew." This chain was started in 1923 by the Papadakis brothers - Tom & James. Born in Kastelli Gravias, Greece, the brothers came to New York in the early 1900's in search of "The American Dream". Weenie Beenie was founded by Bill "Weenie Beenie" Staton & his brother Carl in Arlington, VA in 1950. Eventually, Weenie Beenie would expand to six locations, but today (2011) has been reduced to its original location in Shirlington, VA. Bill "Weenie Beenie" was a world renowned pool player who used the money he won playing pool to fund his hot dog joints. Bill retired to Myrtle Beach, SC in 1981, and died February 18, 2006 at the Grand Strand Regional Hospital near his home in Myrtle Beach, SC. He was 77. The Foo Fighters immortalized this hot dog joint in their song "Beenie Weenie" on their first, self-titled album "Foo Fighters"
The dcist has a review and brief history of "Weenie Beenie" written May 19, 2006. The main plant on 3800 East Baltimore Street was built between 1919 & 1920 with several additions in the late 1950's. Esskay was still operating a slaughter house as late as 1966. Esskay was acquired by Smithfield Foods in 1985 and was closed by Smithfield in 1992. On April 12, 2000, Smithfield donated the 13-acre site of the old Esskay plant to the Essex Community College Foundation - which they turned into an industrial park. German Master Butcher Egon Binkert opened Binkert's in 1964. Since 2000, Binkert's has been run by Lothar & Sonya Weber (Egon's daughter). Monday, August 4, 2008 - There was an electrical fire at Binkert's that started above a freezer in their production area and spread to the attic. The fire damage to the roof and the water damage caused by the fire fighting effort closed them down until renovations were completed several months later on October 10, 2008. SMG, Inc. operates as a processor of meat products. The company offers a line of wet corned beef, sausage, cooked corned beef, pastrami, roast beef, pre-cooked meats, and home meal replacements. It has meat-processing facilities in Chicago; Bloomfield, Connecticut; Humboldt, Iowa; and Falls City, Nebraska. SMG, Inc. offers its products through a range of outlets, including national and regional supermarkets, independent food retailers, delicatessens, club stores, convenience stores, and foodservice distributors. The company was incorporated in 1994 and is based in Crestview Hills, Kentucky. SMG, Inc. operates as a subsidiary of Specialty Foods Group, Inc.
Koegel's also sells what appears to be as authentic a "Coney Island" chili sauce as is available over the Internet! I've heard Abbott's mentioned several times, so I went out and found their web site. Problem is - I don't know whether they're a "brick and mortar" HDJ, or just a provisioner. And if only a provisioner, do they sell hot dogs? Or just the "Flint Style Coney Sauce" listed on their web site? Kocher's Continental Specialty Meats, Inc.
1965: They originated their famous slogan: "We Answer to a Higher Authority"
1986: The company established a meat processing plant in Indianapolis & in order to incorporate newly acquired brands, Hebrew National became known as National Foods. Hebrew National is now a brand of ConAgra Foods, Inc. Apparently, this company is run by the Weber family...? A good quality "small batch" hot dog, on the firm side and fairly mildly spiced. Alphonse Saugy opened Saugy Provisions in 1869 on the corner of Canal and Smith Streets in Providence, RI. Leo McCaughey, grandfather of the current owner, started working at Saugy in 1914 (age 12) driving a horse-drawn delivery wagon. Leo later became a salesman for the company, then President & CEO. During World War II Alphonse Saugy closed the plant - because he couldn't get the quality of meat he wanted his products. June 7, 1944 - Leo McCaughey, Adam Leips & Ludo Spangenberger reopened Saugy. 1971 - Saugy moved from Canal Street to 30 Cross Street in Providence (Leo McCaughey was born at 20 Cross Street). Mary O'Brien (unknown relation to the McCaughey family) at 34 - decided to expand the business by distributing out of state - and developing new product lines (e.g. sauerkraut relish & hot mustard). FYI - Saugy's bratwurst are nicknamed "Buckies"
Little Rhody makes the hot dogs used at Rhode Island's "Olneyville New York System" HDJ. Look for their "NYS Wieners (Natural Casing)". Pittsburg Hot Link Packers Inc.